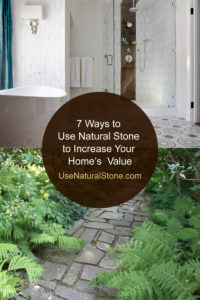 Many homeowners flip through interior design magazines and covet the gorgeous natural stone found throughout the glossy pages. They can almost feel the smoothness of the marble kitchen counters or the rough texture of the fireplace surrounds. Going top to bottom in high-end natural stone may not be within reach for some, but that doesn’t mean they can’t add high-end touches to their designs and give their rooms a touch of luxe. 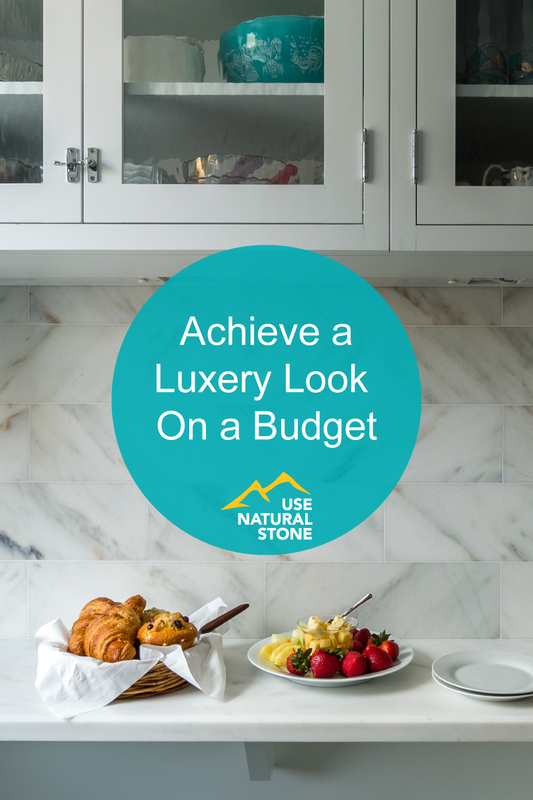 Our experts share ways to add luxury natural stone touches into their designs and get the looks they desire without breaking their budgets. Photo courtesy of Artistic Tile. 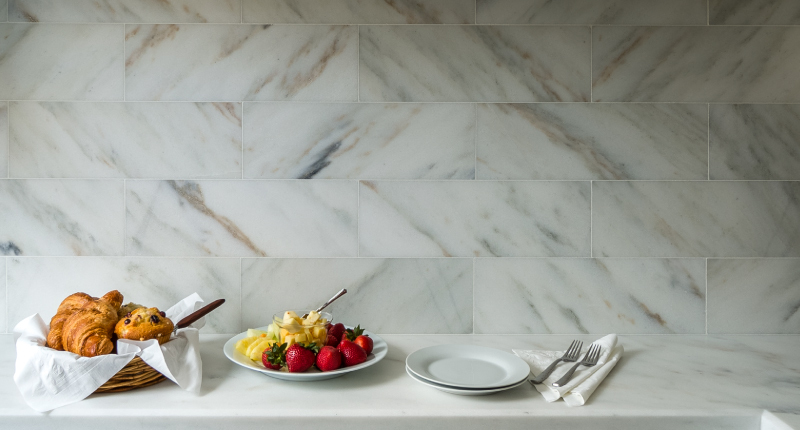 Susan Kathryn Toth, principal of Version International, Inc, a residential interior design firm based in Toronto, Ontario, recommends being strategic with placement of natural stone to get that luxury look without needing a lot of it. Small amounts can be very effective and dramatic if they’re located in high-visibility areas. 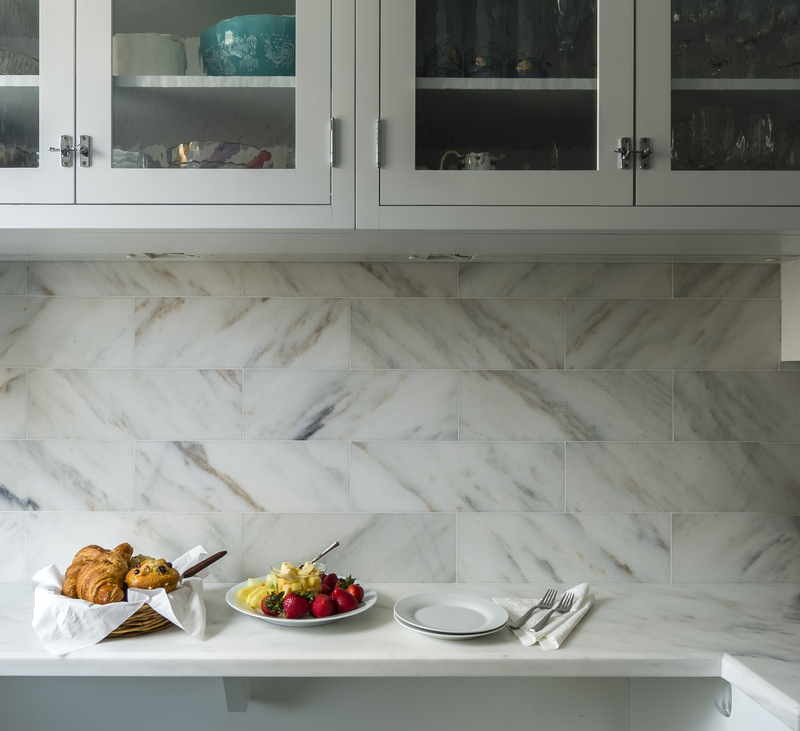 For example, incorporating a natural stone tile backsplash in a kitchen shows off that luxurious look a homeowner might be craving without it necessarily adding a lot to the overall cost of the project, Toth says. “You can also use stone baseboards on built ins instead of wood,” she adds. Details matter so focus on spending on highlighting those details. 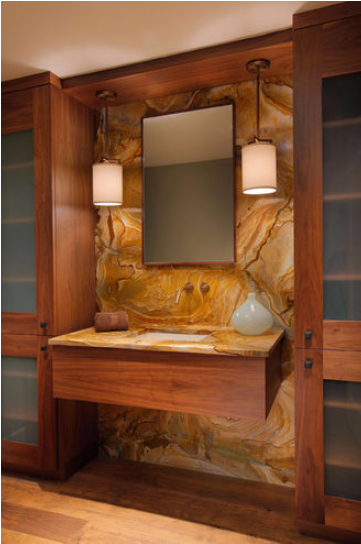 Rather than trying to encompass a large space, like an entire kitchen or bathroom, in nature stone, look for opportunities to call out special spots. Example of a remnant yard. The variety of natural stone that’s available on the market today provides endless opportunities to create unique spaces that complement the owner’s personal style. Remnants can be used for smaller surface areas. Photo courtesy of Artistic Tile. Remnants are pieces of natural stone left over from a full slab. 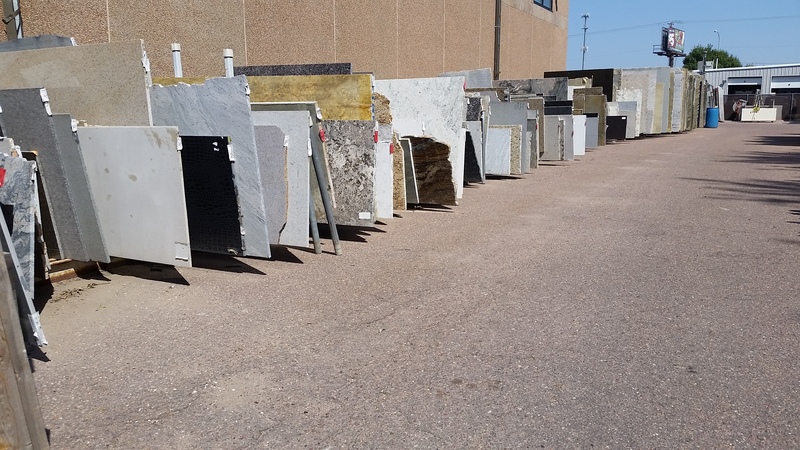 For those considering incorporating natural stone into a project, can’t afford larger slabs, or aren’t ready to commit to large installations, remnants can be a starting point. Many fabrication shops have a great selection of remnants on hand and depending on the size, can be used on anything from small countertops or furniture tops such as coffee tables to fireplace surrounds. “Art pieces on interior walls is one way to create an instant element of WOW without needing a lot of material,” shares Graves. Stone walls make a big impact in a small space. 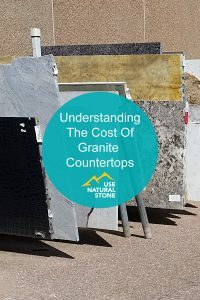 For those who want to use a particular natural stone but are concerned about whether it will hold up and worth the investment, Graves recommends homeowners not rule out a type of material without exploring their options first. “There have been so many technological advancements with sealers out there that will allow you to accomplish the look you are going for with much less worry,” she adds. 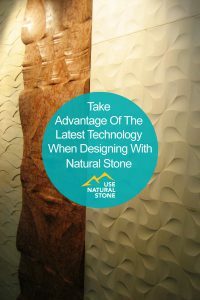 While some homeowners feel using natural stone in their projects might mean having to go all out in order to get the look they desire, it may not have to be all or nothing. 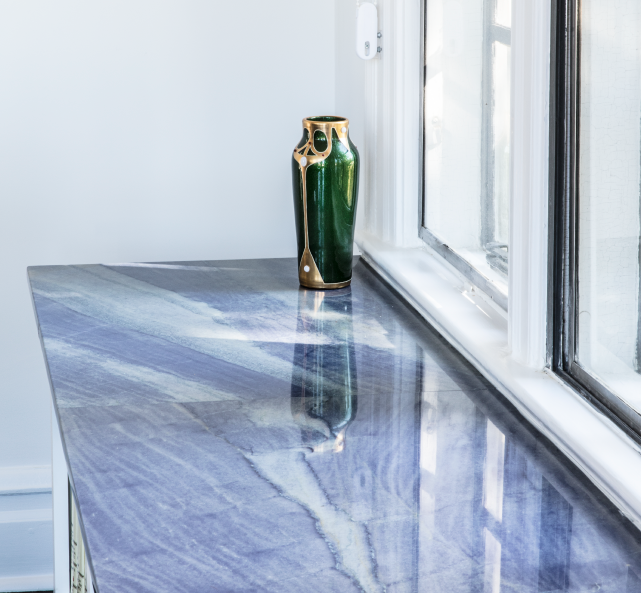 In fact, careful consideration about your goals and opportunities to showcase natural stone as a focal point rather than the main material may end up being both cost-effective and achieve the desired look of a space. Being mindful of your space and choosing stone that resonates with your design goals may be more within reach that you originally thought.